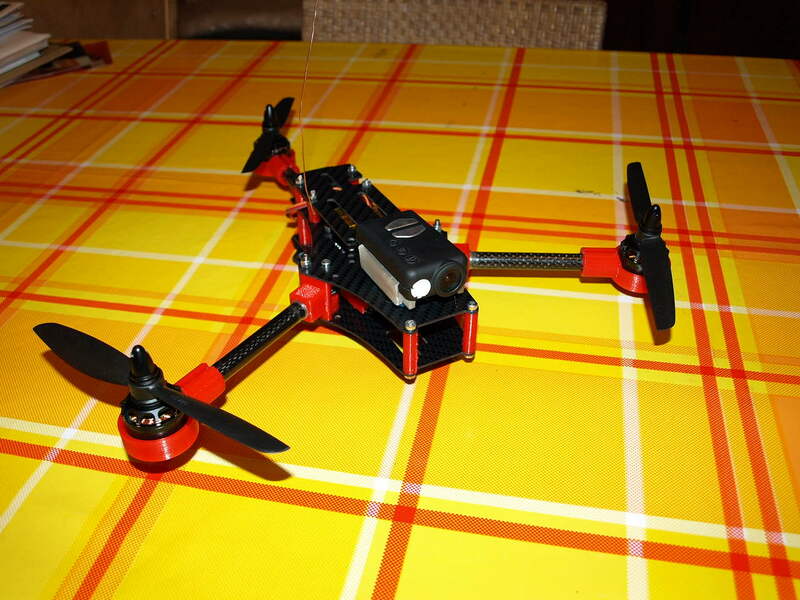 A small 250-class Tricopter for FPV designed by KipK. All parts except the plates and the carbon rods are 3D printed - easy to replace in case of damage. All design files are available on Thingiverse. The pictures don't show the finished copter: They're missing the video transmitter and FPV camera. I'll also add some videos later.